Nestlé’s latest bid to gain a trademark on the shape of KitKat’s four-fingered shape has suffered a setback, as the European Court of Appeal failed to uphold its claim yesterday. 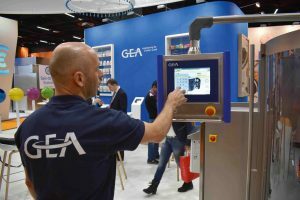 However, the company, which has been fighting a long-running case on the issue, confirmed it intends to mount a renewed challenge for EU-wide legal protection of its product. The court case this week in Luxembourg centred on whether KitKat was distinctive enough to warrant a trademark based purely upon its physical design characteristics. Despite Nestlé’s efforts to gain a European trademark, KitKat, which was originally introduced by Rowntree’s of York in 1935, has faced objections from other manufacturers within Europe. This includes a claim from Mondelēz, which has its own four-fingered bar in the form of Kvikk Lunsj (Quick lunch), that was introduced in Norway just two years after KitKat emerged. 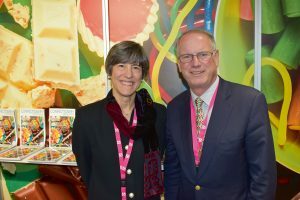 The KitKat brand has proved a success for Nestle, with the company recently forming a deal with Swiss chocolate manufacturer Barry Callebaut for the release of a ruby chocolate version. 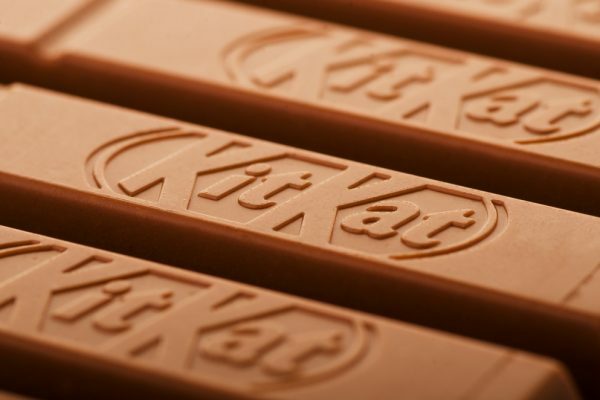 Furthermore, Kit Kat was highlighted as having a particularly strong role in Nestlé’s confectionery portfolio, which has just seen the launch of its 30% reduced sugar option, the Milkybar Wowsome. Its latest half-year figures showed positive organic growth of 2.8% across the business as a whole, though its total confectionery sales were marginally down – from CHF 3.6 billion (€3.1 billion) for the first half of 2018, against CHF 3.7 billion (€3.2 billion) for the same period the previous financial year. Commenting on the case, confectionery consultant Andy Baxendale, a Confectionery Production editorial board member, said: “I think Nestle were on a loser from the start, as I don’t see how you can trademark something as generic as a four-finger wafer. However, a spokesperson for Nestlé’s said the ruling did not represent a final judgement in the case, and confirmed it intended to take it back to the Board of Appeal. 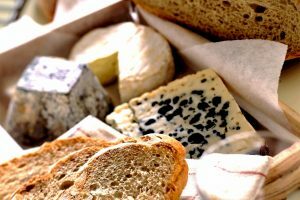 The company said there had been an important distinction made in the case that ‘acquired distinctiveness’ does not need to be established in every member state, but instead needs to be established globally in the EU through evidence including marketing strategy, distribution and cross border activity. The spokesperson said: “We believe that the distinctive shape of our four finger KitKat deserves protection and, following today’s findings, the case will now be sent back to the EUIPO Board of Appeal to examine the evidence that Nestlé has filed. “Today’s judgment is not the end of the case and concludes that the distinctiveness of a trademark (in this case, the shape of our four finger KitKat) does not need to be established in each and every EU country but rather across the EU as a whole using a variety of evidence. The company added that it already owned individual national trademarks for the four-finger shape in a number of European countries including France ,Germany, Spain and Italy.